It can be extremely stressful and frustrating trying to find your first job. Many employers highly value, or even require, previous field-related experience. You’re probably wondering, “How can I get previous experience when even entry-level positions require it? ?” Well, gaining previous related experience doesn’t necessarily mean being paid to work. There are plenty of other ways to gain experience and build up your resume, whether you’re being paid for it or not. Here are 5 of the easiest ways to get experience on your resume this summer. Volunteering is a great way to serve and give back to your community, while taking some initiative to build your resume at the same time. It’s also a great way to gain field-related experience, become well-rounded in multiple different areas, and get to know what really interests you for the future. If there are certain places you’re looking to work eventually, it may be a good idea to ask these places if they are looking for any volunteer work to be done. If they’re not, or if you don’t yet know what you’re looking for specifically, consider helping out at an animal shelter, a food pantry, or another local business that regularly offers volunteer work. VolunteerMatch.org is a great resource for find the perfect volunteer opportunity for you. 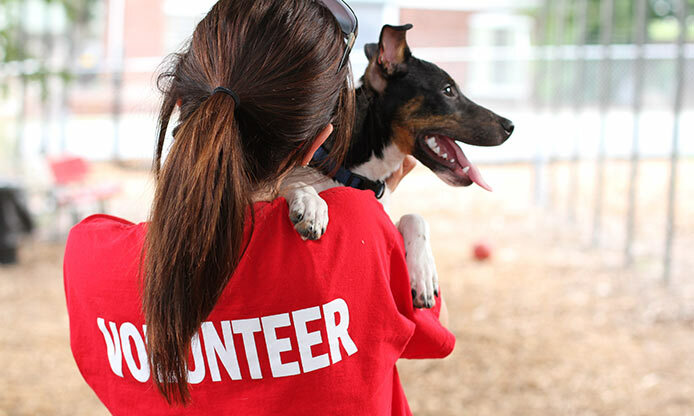 With over 100,000 participating organizations, VolunteerMatch has matched over 11 million volunteers with ways to help. Interning is quite similar to volunteering, except there is a possibility of getting paid if you can find a paid internship. Interning with a company in your desired field is an extremely smart move, as this gives you lots of experience in the field, and allows you to get your foot in the door with the company you intern with. Many times, with enough hard work, dedication, and professionalism, an internship leads to a full-time offer. Need help tracking down internships this summer? We suggest you try Craigslist for your local area or try job search engines like Indeed and Snagajob. If you’re not sure if you have the time to intern, or if you’re not quite ready yet to intern, job shadowing is another great way to build a resume over the summer. It allows you to get a feel for a certain line of work and lets you connect with professionals in your field, without having any serious commitments. Job shadowing is an awesome way for you to get hooked up with the right people for future internships or jobs! Freelancing is the perfect way to show people that you can work hard before you’ve even been hired. Although you may have to start freelancing for low pay, it’s still one of the best ways to gain experience. And since you’re most likely going to be working for more than one person, business, or company, freelancing is an awesome way to develop a variety of positive references for your resume and applications. In addition, sometimes a small freelance job can turn into a full-time position if you’re lucky! Read about how you can gain more experience make more money on the side with these 20 trusted websites. If none of the above are options for you, consider starting your own business, or doing your own work. Babysitting and tutoring are two great options for starting your own small business, as they both allow you to gain many valuable career skills while making some extra money. Adding something like this to your resume will show potential employers that you are motivated, responsible, reliable, patient, managerial, and a leader - all of which are desirable qualities to have on a resume.